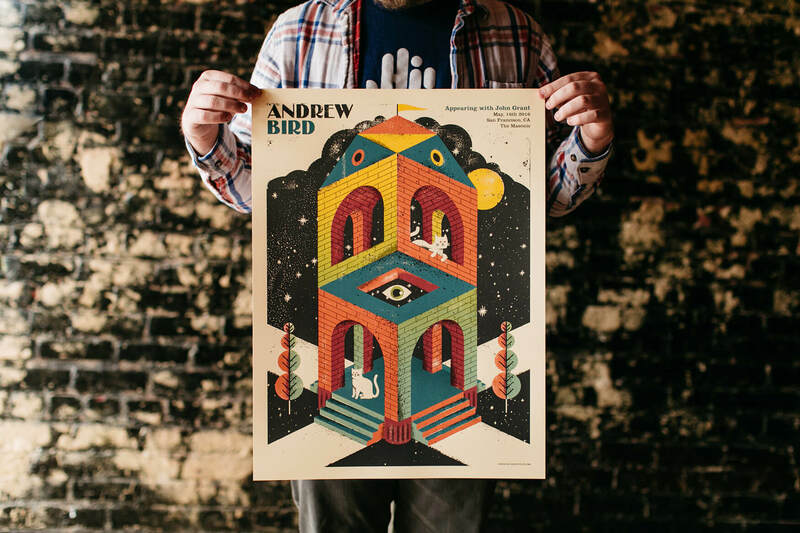 Andrew Bird is one of my favorite musicians to work with, as proven by the fact that this is my sixth poster for him. 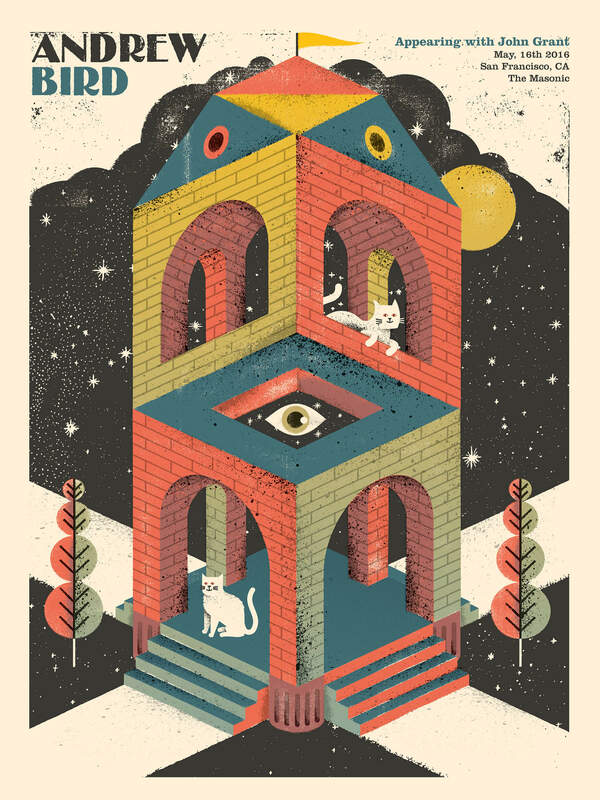 Inspired by his song “Saints Preservus,” I created a strange, colorful, Escher-esque cathedral, populated by a couple of wise cats. And yes, the “cat-hedral” pun was totally intentional. This celestial church, as well as an art print version without the typography, is available in my webstore.